Nassau, The Bahamas - FIU and Toledo universities competed in the Makers Wanted Bahamas Bowl on Friday, at the Thomas A. Robinson National Stadium, with FIU victorious. The Bahamas Allstars Marching Band dazzled the audience with the sounds of 'Funky Nassau' by iconic Bahamian band, the Beginning of the End. 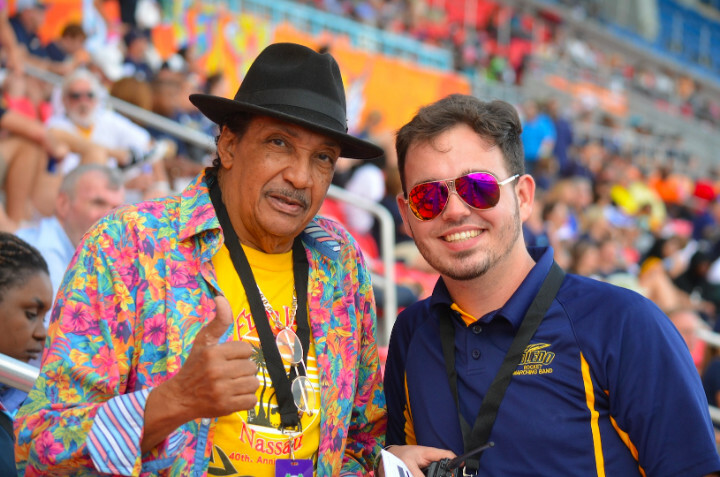 Raphael Munnings, writer and singer of 'Funky Nassau', was at the game, and is pictured (left) with a Toledo Rocket Marching Band member.